Used Alfa Romeo 166 Review - 1999-2005 Reliability, Common Problems | What Car? What should I look for in a used Alfa Romeo 166 saloon? Given Alfa Romeo's reputation for mediocre reliability – the marque has performed poorly in What Car? 's reliability surveys – should potential 166 buyers be worried? Possibly: the gearbox is prone to faults, and knocking over bumps and uneven tyre wear are signs of possible problems with the suspension. The engines need careful servicing, too – it's best to avoid cars without a full Alfa Romeo service history and those which don't appear to have been well looked after. Early cars built between 1999 and March 2001 were recalled to check for problems with the power-assisted steering, while 166s built between May and September 2004 were recalled over possible fuel leaks; check that the model you're interested in made the necessary visits to the dealer. The Alfa Romeo 166's interior appears pretty sturdy, although some owners have reported various rattles and squeaks. We've also heard of occasional glitches from the climate control system. 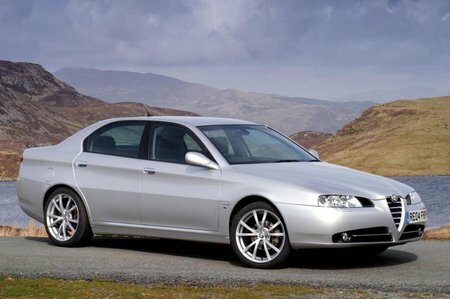 What are the most common problems with a used Alfa Romeo 166 saloon? Is a used Alfa Romeo 166 saloon reliable?